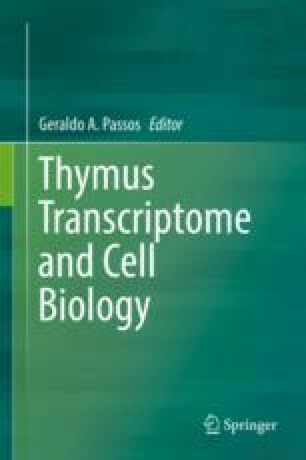 The thymus is the organ dedicated to the generation of T cells, which are key effector cells in immune clearance of pathogens and tumours. However, T cells can also react to our own tissues or turn into cancer cells, such as in the case of autoimmunity and leukaemia, respectively. Therefore, the development and selection of T cells is a tightly regulated process that proceeds within inductive thymic microenvironments formed by cortical (c) and medullary (m) thymic epithelial cells (TECs). Herein, we critically summarize our current knowledge on the molecular principles underlying the development and diversification of TEC compartments and highlight their specialized roles in specific stages of T cell development. Knowledge in this area is of fundamental and clinical relevance to understand how the immune system reaches the equilibrium between immunity and tolerance induction. Given the importance of the thymus for T cell development and general immune function, it is hard to conceive of the time when the origin of lymphocytes – where they developed and their complexity – was completely unknown. I was fortunate to have found myself situated at the right time and place to evaluate the function of the thymus, which at the time was considered superfluous. Jacques F. A. P. Miller (2006). Minoru Matsumoto and Pedro M. Rodrigues contributed equally to this work. Mitsuru Matsumoto and Nuno L. Alves supervised equally to this work. The European Research Council (ERC) under the EU’s Horizon 2020 research and innovation program (grant agreement No 637843—TEC_Pro)—starting grant attributed to N.L.A—supports the studies from the laboratory of Nuno L. Alves. The studies from the laboratory of Mitsuru Matsumoto are supported by JSPS KAKENHI Grant Numbers JP16H06496 and JP16H05342, and by the Japan Agency for Medical Research and Development-Core Research for Evolutional Science and Technology. We apologize for not referring to all of the primary literature owing to the space limitations.